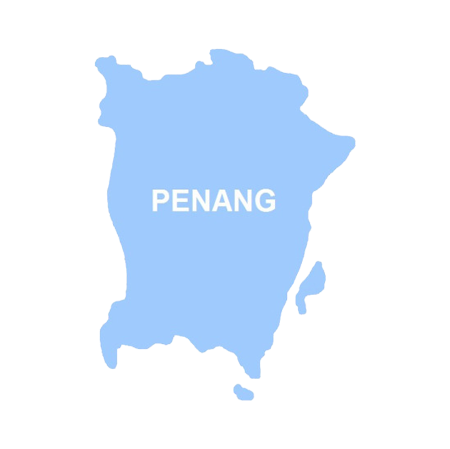 Cendol is a very famous dessert in Penang and Malacca but both versions taste slightly different. 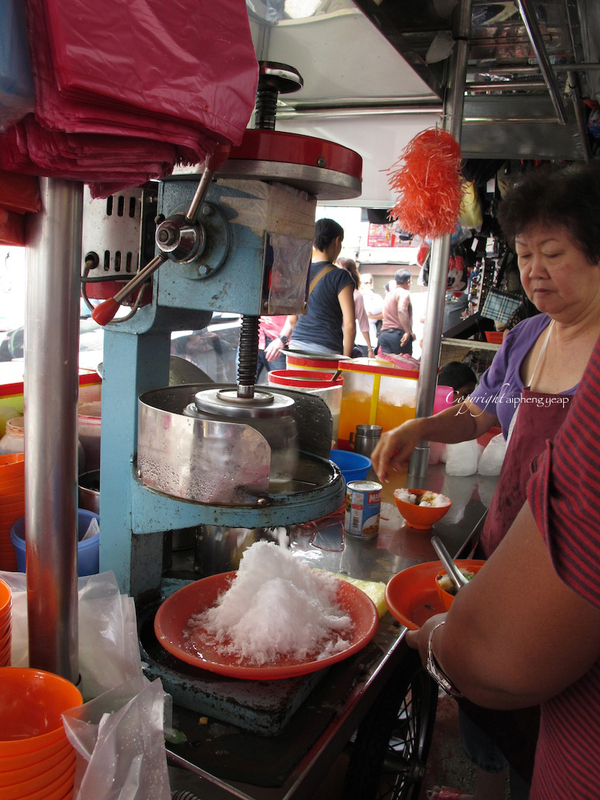 The main ingredients include shaved ice, coconut milk, gula melaka (palm sugar), green jelly noodles made with rice flour and red bean. The green colour used for the jelly noodles are made from natural green colouring extracted from the fragrant pandan leaves (screwpine leaves) commonly used in Southeast Asian cooking. This dessert is a must try for anyone visiting Penang and the most famous stall serving this dessert is on Lebuh Keng Kwee, off Penang Road. 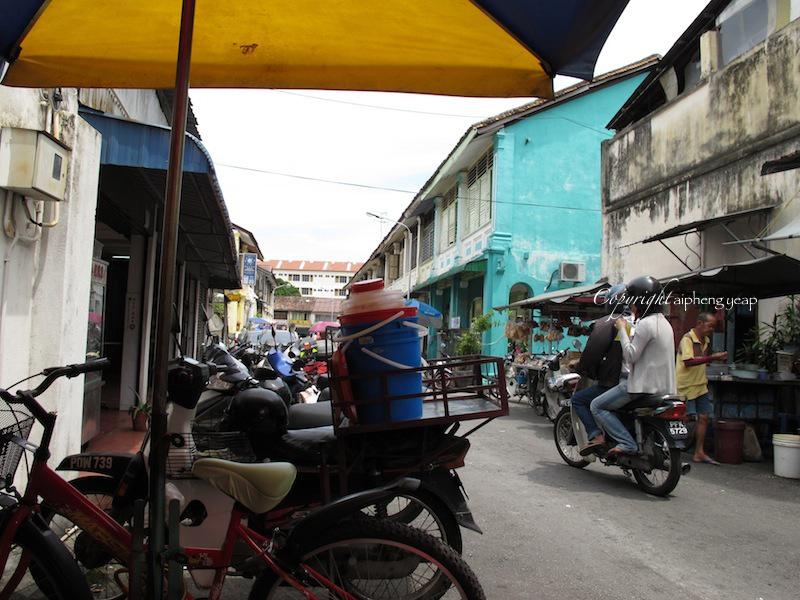 There are two stalls selling Cendol on this street but this famous Teochew Cendol is located on the right as you turn in from Penang road. 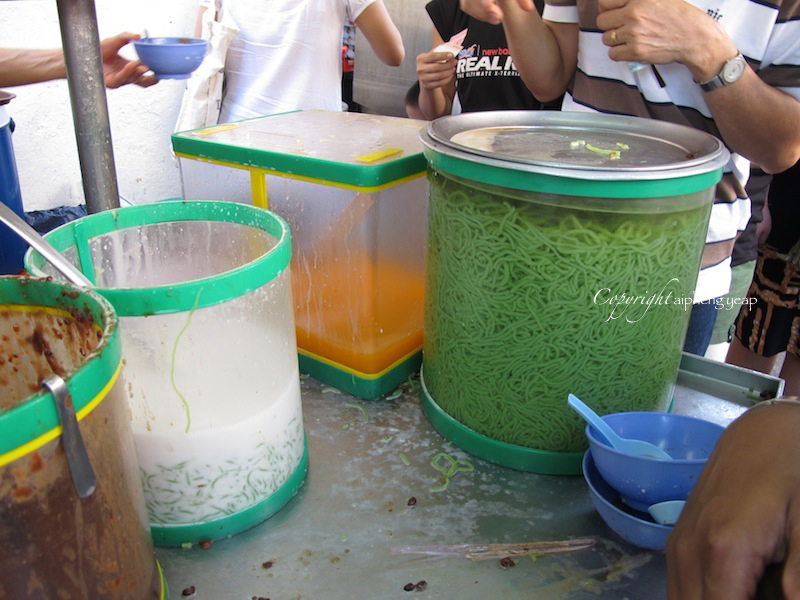 Many people travel all the way for this Penang Road Teochew Cendol. The already narrow street will be clogged up by people who are there just to have a bowl of this shaved ice dessert. 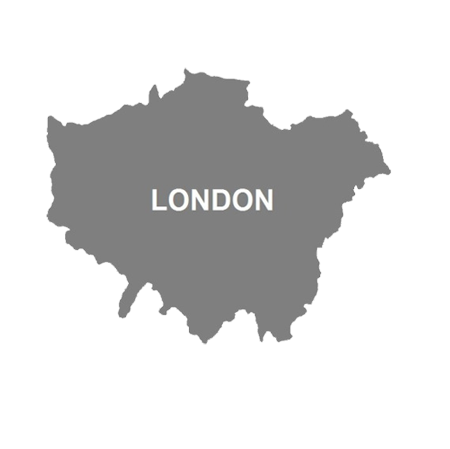 Also, there is no apparent queue so be smart about where you stand. Make sure you are seen by the guy taking orders and not hide behind the crowd. 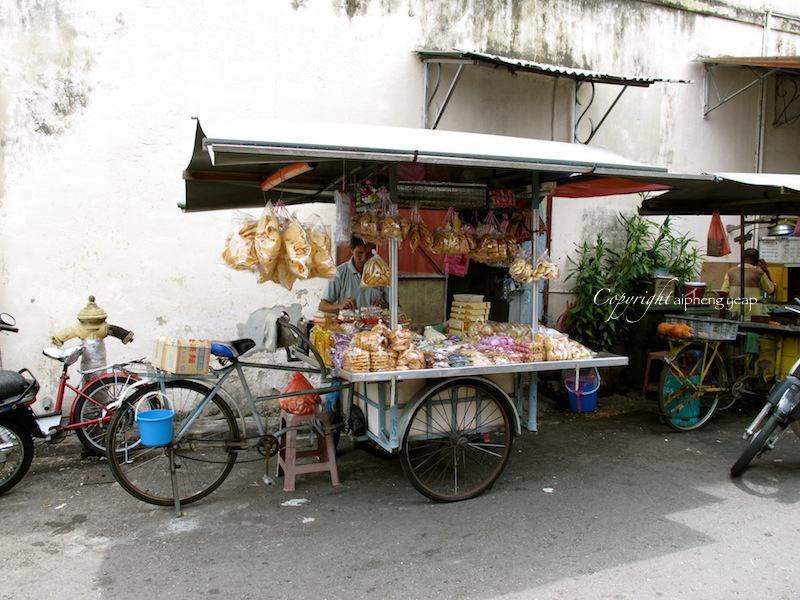 This is the other Cendol stall opposite the very famous Teochew Cendol stall. Be sure to look at the sign correctly as this one does not have the word 'Teochew'. 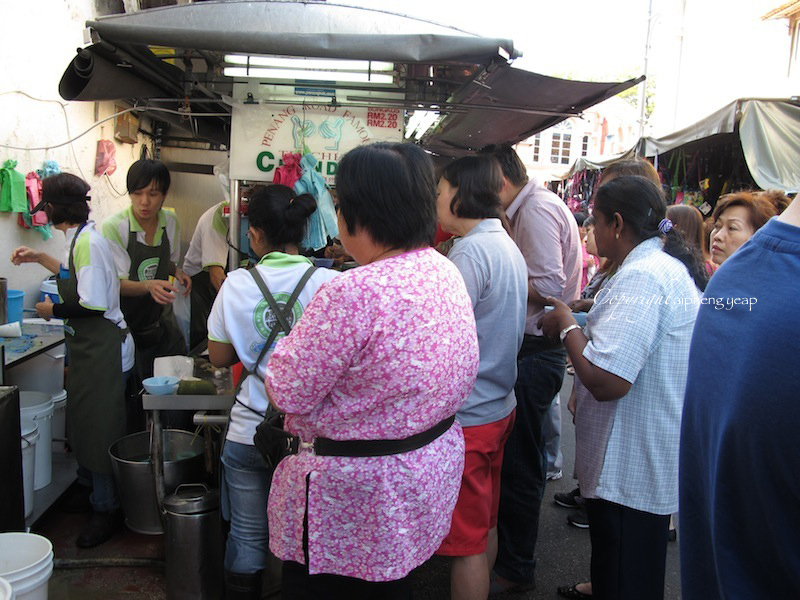 While the most famous stall is crowded with people, this Cendol stall opposite it is usually not as packed. Funnily, this is the stall I prefer and recommend. The Cendol here is tastier with more distinct flavour of its ingredients. 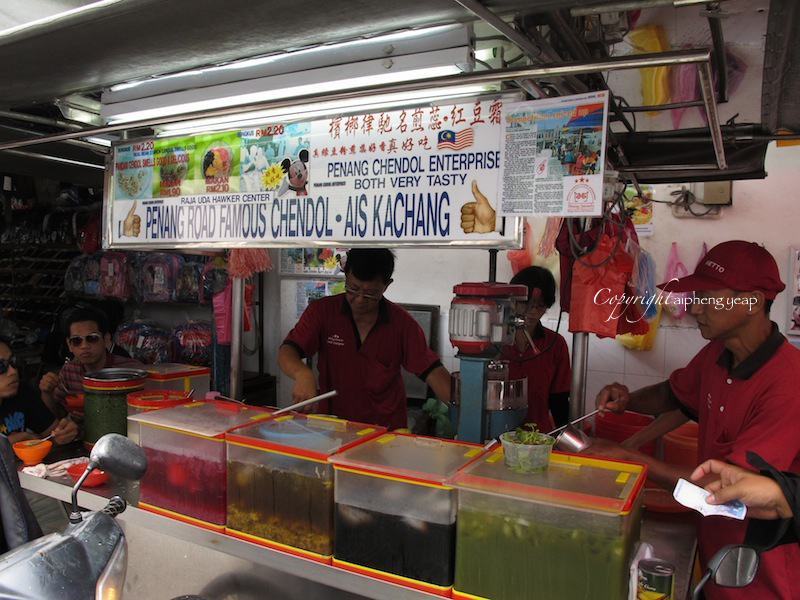 I find the Cendol of the more famous Teochew Cendol stall too diluted for my liking. You can always try one from each stall since they are just opposite each other. Compare and pick your favourite, I would say. yup.. and it taste good and full of people all the time. Did you try the fruit rojak? Oh, I did not try the rojak. Is it good there? I normally have fruit rojak at Gurney Drive. We visited in March 2014 and had a wonderful time. Mr Loh and his family are so hospitable and the food is delicious. A must if you are in George Town.